Ayan cuts railing and pours oil on the way. Krishna gets tensed seeing that. Balram via telepathy asks him what happened. Krishna says something wrong will happen, he asks Kirtida where is Vrishbhan uncle. She says he is at home and must be coming anytime. Krishna says they will get him and walks towards house with Balram. Vrishbhgan senses someone near balcony and asks who is there. Ayan hides. Vrishbhan walks towards railing, slips on oil and falls down from balcony. Krishna an dBalram walking towards him are shocked to see that and shout uncle. Kirtida, Radha, and others rush to Vrishbhan and take hi inside house. Balram thinks something weird has happened for sure, he has to find out. He walks into house. Ayan hides hearing footsteps. Balram searches culprit and slips on oil. Ayan silently runs away. Vase falls down. Balram runs behind him and sees man disappearing, thinks where did man go. Vaidya treats Vrishbhan. Crying Kirtida asks if her husband will get well soon? Vaidya says he is trying his best. Radha consoles Kirtida and says Baba will get well soon, asks Krishna isn’t it. Krishna stands silently. Ayan walks to Kans via black magic and informs that his work is done, Vrishbhan is finished now. Kans orders Akroor to double all villages’ taxes and order all village heads to meet him, whoever does not obey him will be punished with 4 times more taxes. He creates black magic door and Ayan returns back to Barsana via it. Krishna informs Balram that Ayan has done this. Balram fumes saying he will not spare Ayan now. Krishna says let him handle Ayan and walking to Ayan says he has to pay for his sins. Ayan asks what did he do. Jatila walks to him and asks to accompany her soon. Ayan asks what happened. She says something unusual has happened. Krishna tells Balram that Ayan is following Kans’ orders. In Mathura, Kans feeds crocodiles and tells Akroor that these crocodiles come to shore only seeing meat, similarly he has to get Radha here if he has to get Krishna here. Radha tells Kirtida that she will go and rest now. Kiritida cries what about her Baba. Radha says Baba will get well soon, walks out and cries inconsolably. She then prays Shivji to cure her baba soon. Krishna walks to her. She cries holding Krishna and asks if her father will get well soon or not. Krishna consoles her. Krishna gives moral gyaan that if they hear snake, they imagine a poisonous animal and if it is found at any home, people panic and gather to kill it, but if it is found in temple, people will pray and feed it considering it as Shivji’s avatar. The reason for difference is place and company; when it was with Shivji, it was prayed and when it was at someone’s house, it was considered harmful; so one should always befriend good people. 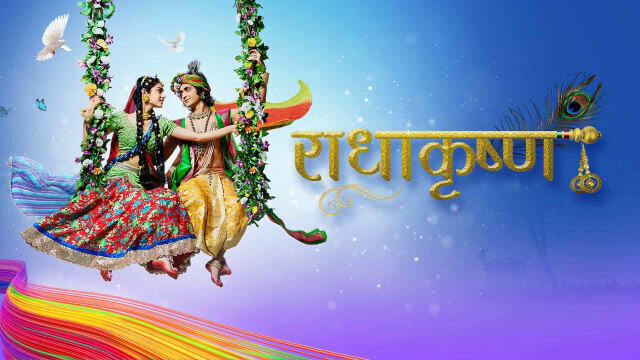 The post RadhaKrishn 13th March 2019 Written Episode Update: Krishna Is Outraged appeared first on Telly Updates.